Finding a new job can be very stressful. Researching companies, filling out job applications and fine-tuning resumes takes a lot of time. Sometimes looking for a new job feels like a full time job! After announcing my big decision last week, my moving date is less than 4 months away. My primary concern has been finding a new job. While this seems like a lot of time to find a new job, I am pretty busy most days and don't have a lot of time to spare. When searching for a job, many job seekers start with Craigslist, Indeed and Glassdoor. I want to focus on a couple alternative job search websites that are worth looking into when searching for a new job. This is a paid membership job site, but is hands down my favorite place to search for a job. Flexjobs covers all job categories and is not geared towards one specific niche. If you are a blogger or freelancer, this is a great resource to find virtual assistant and blogging jobs. What I really like about Flexjobs is that it always provides the company name, job description and a link to the job listing. They also screen every job listing and delete postings once the position is filled, so I'm not wasting time applying to a job that is non-existent. Because this is a paid membership site, I was on the fence paying for something like this. There are monthly and yearly plans available. I found a coupon for the yearly plan and it has already paid for itself. If you are interested in signing up, visit FlexJobs and use the promo code Friend30 to save 30% off your order! Similar to most job boards, ZipRecruiter caters to all careers and is not specific to one niche. This website is free and is geared towards multi-taskers. Once you register and upload your resume, you can apply for multiple jobs with one click of a button. All jobs are listed in a grid, so you are able to read each job description on a page and then check off which ones you want to apply for. There is also an option to include a customized or general cover letter for each job that you apply to online. I literally applied for a few jobs in a matter of seconds. ZipRecruiter is an amazing tool if you are short on time! 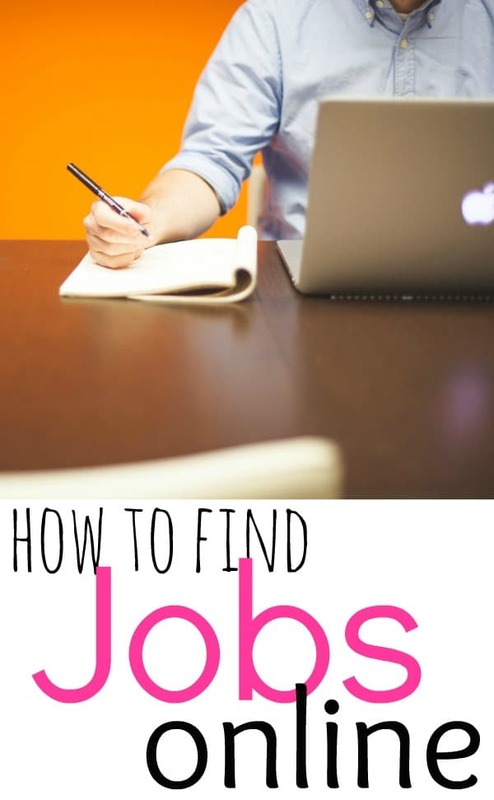 Overall there are so many different websites to view when it comes to looking for a new job. It is best to have various options and think outside the box when it comes to your job search! What is your favorite website to use when job hunting? I am moving across the country and applying for jobs, in the past i had issues with me not being in that city at the moment. Are there any tips with securing a job prior to moving? A very awesome blog post. We are really grateful for your blog post.Thanks for such post and please keep it up. Great work. I used to apply on Odesk which is known now as Upwork, but the problem is the competition is really high. You need to build an outstanding portfolio so that you will get notice from the clients. I think I would get really stressed dealing with so much competition! What is your full time job area (or what was it in prior to your freelance career)? Love your site!! So helpful! I usually use Craigslist, Freelance Writing Gigs (she posts all writing/editing jobs from Craigslist), jobs.problogger.com (blogging/writing jobs only) and Indeed! I just got a FT job and found it off Indeed! I like Indeed too! Oh wow, congrats!! I know that people don’t really like Craigslist that much but I found about 70% of all the jobs I ever worked on Craigslist. I found my current FT job from a Craigslist ad. With Craigslist it’s all about timing and having the ability to weed out the fakes and find the legitimate companies that are looking to hire people. I also like to use Indeed and I always beef up my LinkedIn profile and become more active by reaching out to certain recruiters on the site when I’m on the market for a job.